What could be easier than throwing a dinner party and not cooking dinner? Every Day…Gourmet! can help you host the perfect soirée for 6-24 guests, whether you desire a casual buffet or a formal, coursed meal with table service! Wine and beverage pairings are available for any menu, so let Every Day…Gourmet! help plan your next dinner party! Why not host a party centered around a tasting theme? The new trend in dinner parties. Tastings can center around wine, chocolate, bourbon, beef, cheeses, seasonal fruits, or anything else you can imagine! If you can dream it, you can taste it with a party prepared by Every Day…Gourmet! Every Day…Gourmet! will make your executive meeting one to remember! Customize your menu to the food needs and wants of the executives to ensure the utmost in satifisfaction. For the couple who has everything, the memorable "Evening In" package makes for a romantic evening to commemorate anniversaries, birthdays, and special events ... and is even a great way to say "I love you" just because! Many options, including the "Full Package" — dinner and a one-hour couple’s massage — are available! 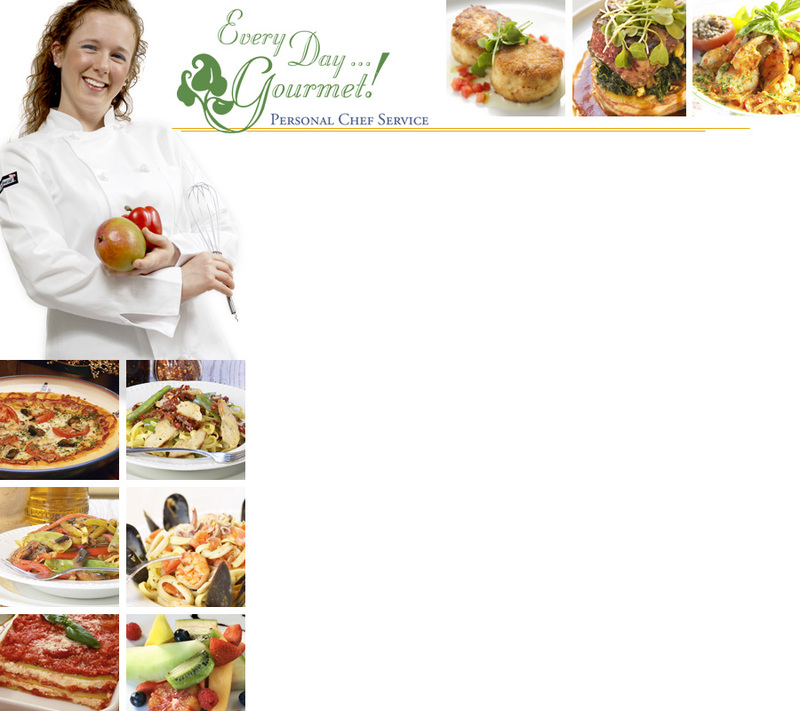 Available for any of the Every Day…Gourmet! special services. Gift Certificates are a great way to make anyone feel special! Perfect for the new mom, the elderly, the young professional, those with special dietary needs, or that "hard-to-buy-for" person on your list. Gift Certificates are available in any denomination or on a per-service basis.